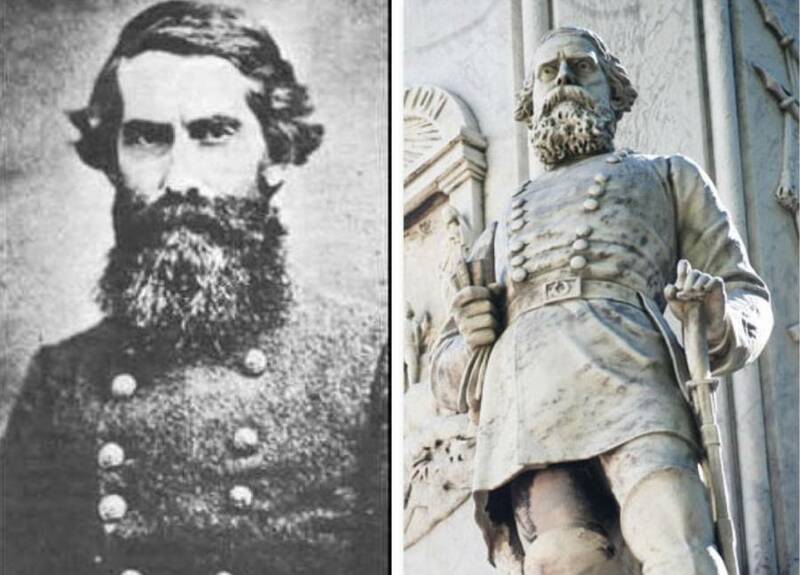 Confederate Monuments: Who Were The Men Honored By These Statues? Shelby was a Confederate general who owned a 700-acre plantation worked by slaves in Kentucky. After the war, he refused to surrender. Instead choosing to flea to Mexico and start a colony for ex-Confederates. He eventually decided he didn't like Mexico and moved to Missouri, where they built a bronze statue of him in 2009. Walker was a Confederate soldier best known for getting shot a lot. He was wounded in the neck, shoulder, chest, left arm, and leg before finally getting killed in battle. He owned 14 slaves and said freeing them would would "ruin his family financially and destroy his plans for the future." Cleburne was an Irishman who moved to the U.S. after he couldn't get into medical school in Ireland. 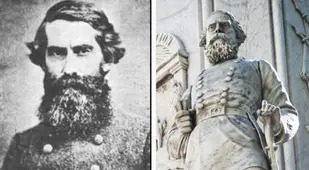 He was a private soldier in the Confederate army, and at one point actually suggested freeing the slaves to "change the race from a dreaded weakness to a position of strength." 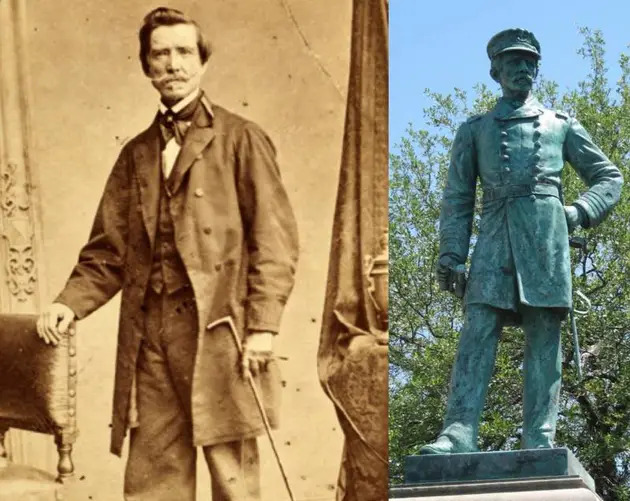 He died in battle, but statues of him have actually been popping up around the United States in the last few years, including a 2015 statue in Texas and a 2012 statue in Arkansas. Semmes was a Confederate naval officer who was imprisoned briefly for treason following the war. 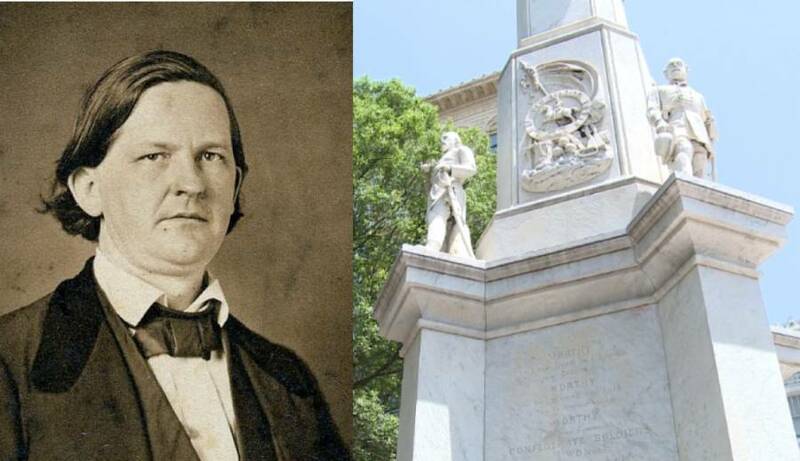 A statue to him in Mobile, Alabama was actually rededicated in 2000 in a ceremony with a cannon salute, balloons, a new memorial plaque, and Confederate flags. Cobb was a Confederate soldier who once said that black people are "peculiarly fitted for a laborious class. The physical frame is capable of great and long-continued exertion. Their mental capacity renders them incapable of successful self-development, and yet adapts them for the direction of the wiser race. 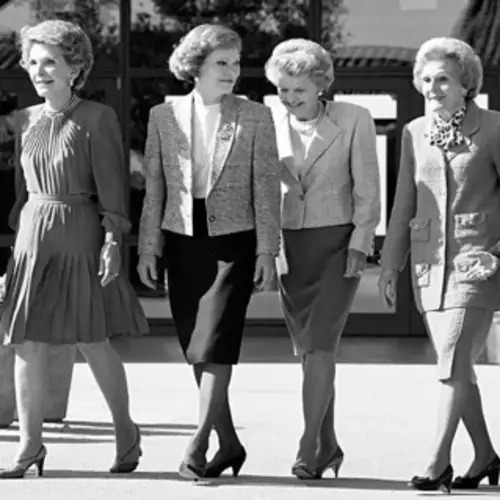 Their moral character renders them happy, peaceful, contented and cheerful in a status that would break the spirit and destroy the energies of the Caucasian or the native American." 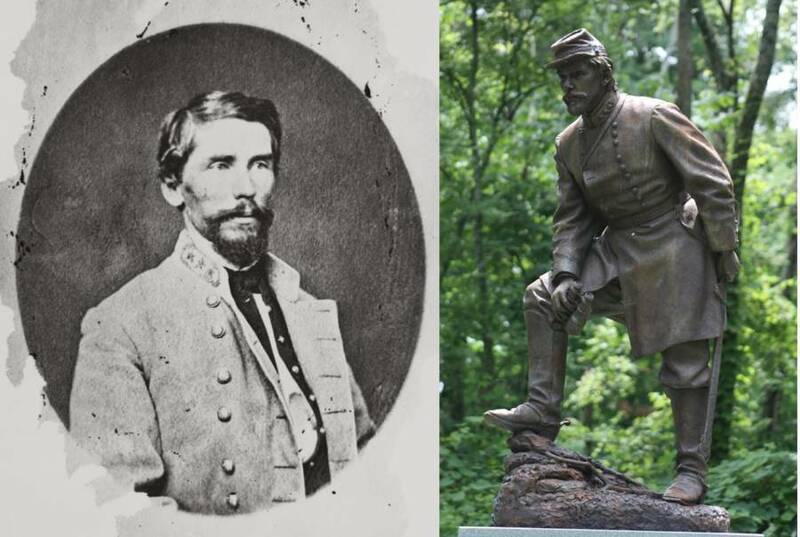 There's a statue of him in Augusta, Virginia. Stuart is best known for contributing to the Confederate defeat at Gettysburg. Stuart had quite the ego. He "saw himself as the Southern people envisaged him," a historian of the era wrote. "They needed a knight; he needed to be that knight." A Confederate flag sewn by his wife sold in 2006 for a record $956,000. Another high-ranking general, Johnston lost most of the battles he was in charge of. He ended up being demoted by Jefferson Davis and then surrendering to Union troops in North Carolina. He actually became pretty good friends with Union leaders like Ulysses S. Grant after the war and served one term in Congress. Johnston gets the honorable (?) distinction of being the highest ranking officer killed on either side during the Civil War. Jefferson Davis described his death as "the turning point of our fate." 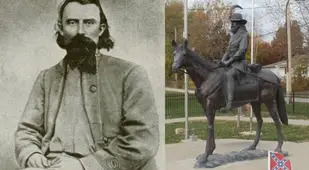 As was the case with "Stonewall" Jackson, it's believed that Johnston was also accidentally shot and killed by his own men. Beauregard was the very first leading general of the Confederate Army. He's best known for winning the First Battle of Bull Run. He fought a lot with Jefferson Davis and was reluctant to take an oath of loyalty to the Union after the Confederate defeat. A statue of him was recently removed in New Orleans. Morgan was another Confederate general. He led an unauthorized raid in Indiana and Ohio, taking hundreds of Union prisoners and going farther north than any other Confederates ever made it. He was promptly intercepted right after the raid, surrendered, escaped Union prison, was put into a low-level military post, and was killed in Tennessee in 1864. Jackson was another Confederate commander. He died after a group of Confederate soldiers accidentally shot him in the arm. He was a slave owner and is still considered by historians to be one of history's most skilled military strategists. Lee was a Commander in the Confederate Army during the Civil War. Both of Lee's major battles resulted in high casualties and ended in defeat. He gained fame as a "war hero" in the years following the war, and people seem to have forgotten that he was a notoriously cruel slave owner. Taney is most remembered for writing the majority opinion in the 1857 Dred Scott Case, which declared that black people could not be U.S. citizens. He wrote that black people were "beings of an inferior order, and altogether unfit to associate with the white race, either in social or political relations, and so far unfit that they had no rights which the white man was bound to respect." Out of all of these men, Forrest might be the worst. His motto, "war means fighting and fighting means killing," led him to a few notable victories for the Confederates and caused Ulysses S. Grant to call him "that devil Forrest." After the war, he became the first Grand Wizard of the Ku Klux Klan. His statue remains in Memphis, though the city council has voted to remove it. Eppes was Thomas Jefferson's grandson. He owned a cotton plantation, supported the Confederate cause, and enjoyed participating in night watches to catch runaway slaves. 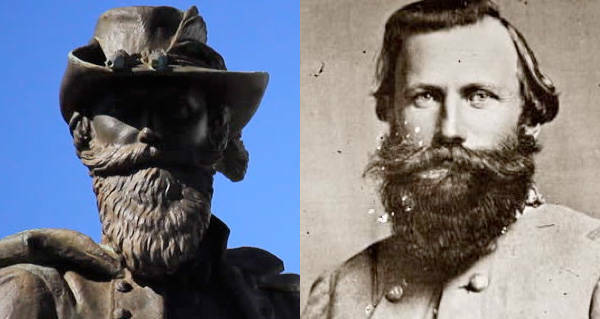 His statue sits at Florida State University and students are petitioning for its removal. 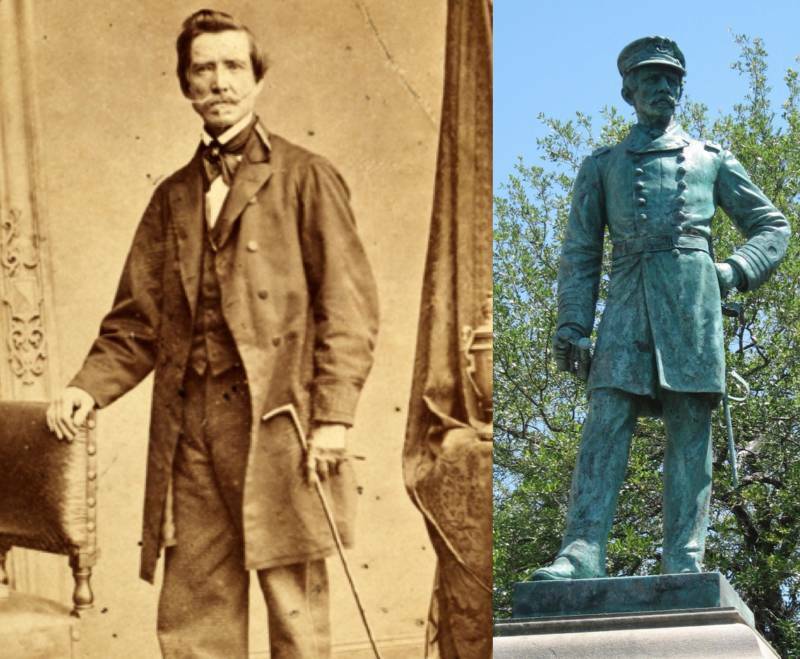 Pike is the only Confederate soldier with an outdoor statue in Washington D.C. He was an average general, known for insubordination. He was charged with letting his troops scalp soldiers in the field, and mishandling money. Afraid of arrest, he fled to Arkansas and mailed in his resignation. Vance was a Confederate soldier and North Carolina governor whose family owned slaves. After the war, Vance was elected to the U.S. Senate, but Congress denied him because of his history of owning 18 slaves. Though he made a well-known speech on behalf of Jewish-American rights, he argued that black people should not get the right to vote because they wouldn't know how. Smith is best known for being the last Confederate general to surrender to the Union. He then fled to Mexico to avoid getting arrested for treason. He eventually came back, started a telegraph company that went bankrupt, and then started a prep school that burned down in 1870. His slave/valet for most of his life, Alexander Darnes, was actually probably his half brother. (Meaning his dad probably raped one of the house servants). 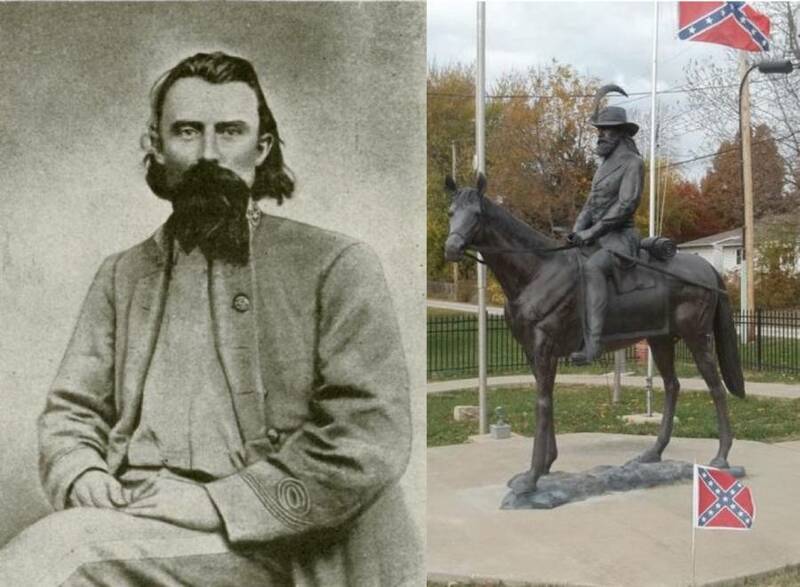 Joseph Wheeler (whose statue is in the U.S. Capitol building) was a Confederate cavalryman. During the war, he ordered his troops to open fire on hundreds of freed black refugees during the Ebenezer Creek massacre of 1864. Before the war, Hampton was one of the largest slaveholders in the country, owning more than 3,000 human beings. After serving as a Confederate general, he became a supporter of the "Lost Cause" movement, which repainted the Confederate effort as a noble and heroic one, despite their defeat. 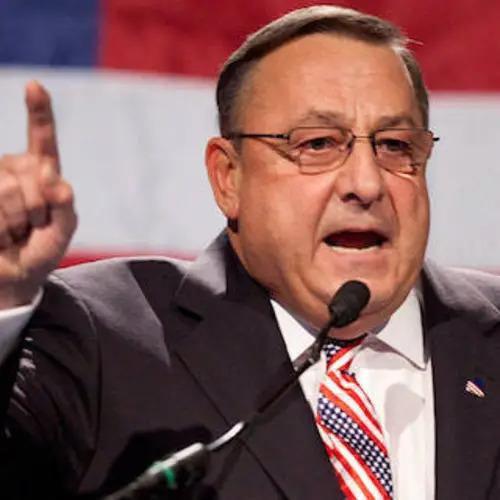 Hampton expressed support for the KKK and when he ran for governor, his "Red Shirts" group used extensive violence to suppress black voting, killing 150 black people. As governor, his right leg was amputated after he was thrown off of a mule while hunting. It's safe to say that you've probably noticed all of the hullabaloo over Confederate monuments lately. After this past weekend's Charlottesville riot, during which a white supremacist killed a young woman, Donald Trump condemned the violence on "many sides," suggesting that white supremacy, blatant anti-Semitism, and neo-Nazism can somehow be placed on the same moral plane as anti-hate demonstrations. The president also mourned the loss of Confederate monuments, as cries to remove them escalated. 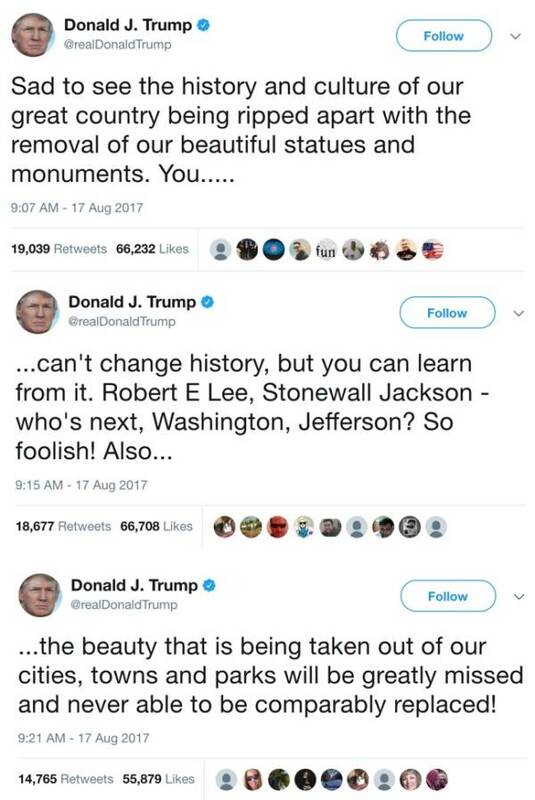 Trump has equated the men memorialized by these statues, men best known for trying to tear the country apart, with George Washington and Thomas Jefferson, best known for founding it. "There literally is no difference between the two men," an email from Trump's lawyer, leaked on Thursday and reported by The New York Times, reads. "You cannot be against General Lee and be for General Washington." Arguing that all Americans who owned slaves and served in battle are "identical," historians say, is a "false equivalence," according to The New York Times. 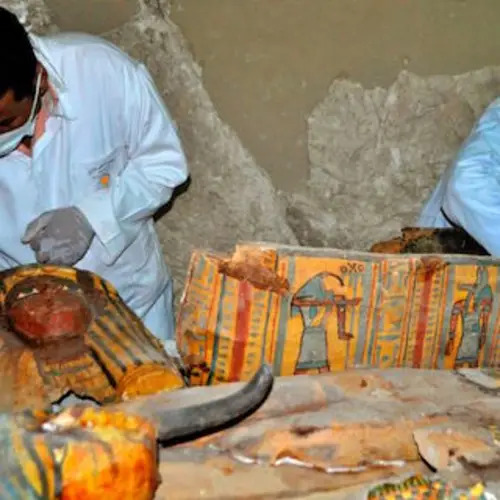 Though most of us have now read thousands of articles on these monuments, it seems few people actually know the stories of the dead guys whose legacies many people are so passionate about protecting. 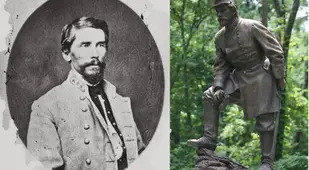 Above, you'll find a list of most of the Confederate men memorialized by statues that have either now been removed or are facing threats of removal. What you'll learn is that these men are remarkably unremarkable. In fact, most of these men are best known for leading losing battles. They owned failed businesses, massacred free black people and Native Americans, and fought hard to tear the country in two. A few of them died fighting to protect their right to own other human beings (which almost all of them did). The fight to remove their statues from our public spaces is not about destroying history — just as the decision to put them up in the first place was never about preserving it. The vast majority of the monuments were built during the Jim Crow era as part of a campaign to justify the continued oppression of black Americans. As hundreds of black people were lynched and denied civil rights, these structures were part of a "Lost Cause" movement to repaint the Civil War as a noble, honorable, and Christian struggle that had more to do with protecting a culture than enslaving a race. The statues were built to validate feelings of white superiority. If you don't believe that, check out the accomplishments of the men to whom they pay tribute. There are manatees who are more impressive. After this look at Confederate monuments, learn how Hitler and the Nazi party convinced Germany to vote for facism. Then, read about the time that Trump's dad was arrested at a KKK rally.